Baron Davis and Stephen Curry have both shined in a Warriors jersey. Tons of entertaining moments have occurred (and continue to for Steph) for them with Golden State. One of the most admirable facets of their games is that neither shied away from big moments. Clutch shots, timely passes, and other leadership quality plays secure them both as fan favorites. 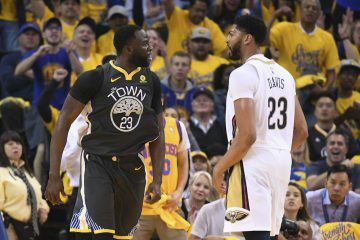 Davis’ dunk in 2007 over Andrei Kirilenko and Curry’s corner three-pointer to force overtime against the Pelicans are a couple of the most iconic plays in Warriors history. Both were spectacular, jaw-dropping moments in the team’s history. One had you cocky, hyped, and ready to hit the courts with the intention of embarrassing someone. The other had your heart racing, it gave you a feeling of reassurance and it made you appreciate the fact that the greatest shooter of all-time plays for your team. 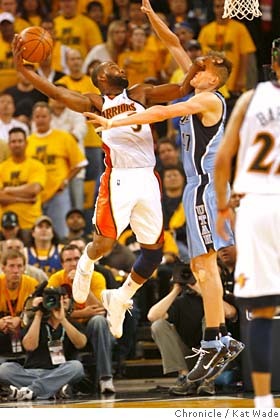 Being a Warriors fan in 2007 was enjoyable. They made the playoffs after a long hiatus during the Chris Cohan era and had the greatest upset of all-time when they stunned the 67 win Dallas Mavericks. They faced a hard-nosed Utah Jazz team in the Conference Semi-Finals led by Jerry Sloan, Deron Williams, and Carlos Boozer. Golden State was down two games and the series headed to rowdy Oracle Arena. If you think it’s loud now, 2007 was on another level. 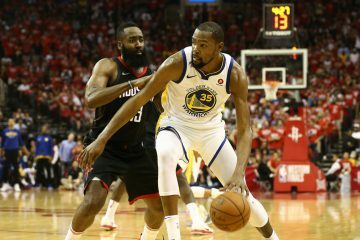 It was late in the 4th quarter; the Warriors were up by a comfortable margin and were on the verge of taking out their star point guard, Baron Davis. Deep into the shot clock, Davis cocked the ball back, behind his head and proceeded to slam it down on one of the elite shot-blockers in the league, Andrei Kirilenko. The crowd roared. Players were shook. Bob Fitzgerald had the perfect call during the duration of the dunk into the commercial break. A few of Fitz’ best quotes? Davis knew exactly what he did. Known for dunking on players during his prime, he was on the Warriors after recovering from multiple surgeries. No one saw that coming. His reaction afterwards was equally as good. He stood under the backboard and knew he just did something that will be in the mind of Warrior fans for years to come. 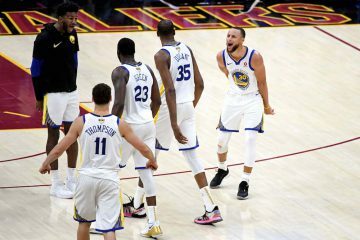 Matt Barnes, Stephen Jackson and other Warriors along with the crowd all had priceless reactions that make the moment even better. 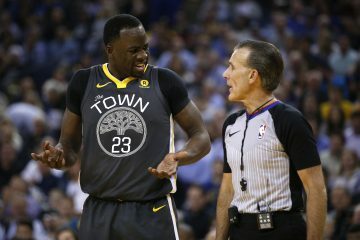 It’s the best in game dunk in Warriors history, given the fact that it was in the playoffs and the Jazz were a heavy favorite. That’s not to mention Davis was a point guard while Kirilenko was one of the better rim protectors in the league.